Nokia's business E series are one of the company's most successful products, but with the change of mobile landscape touchscreen devices have started to invade the business segment all the more. This puts a big question mark next to the Nokia E6, which was leaked on Engadget a mere week before Nokia is expected to announce its new handsets. 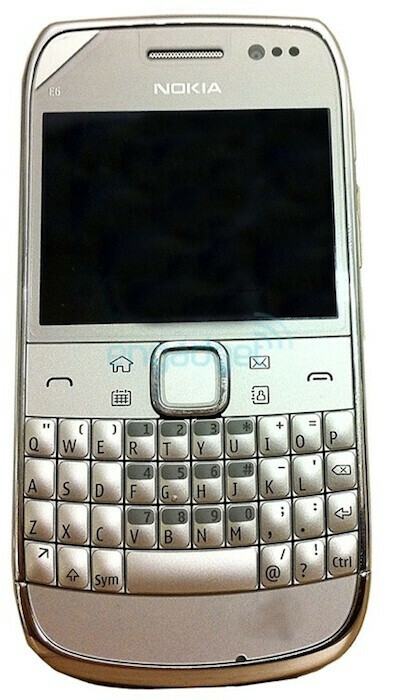 The Nokia E6 looks very similar to Nokia's previous business models E73/E72 not only in the portrait QWERTY style, but in the apparent lack of a touchscreen. While that is not officially confirmed the small screen size and the presence of a D-pad point in that direction. In addition, the phone will get an 8-megapixel camera with LED flash and is rumored to have a resolution of 640 x 480 pixels. 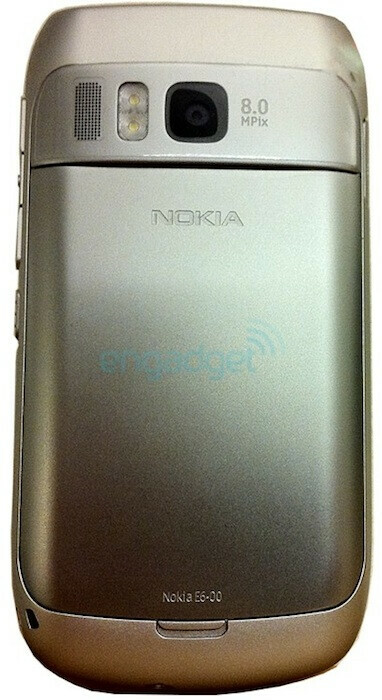 The screen size looks small and judging from Nokia's previous business models it will be under 3 inches. The authenticity of the model was confirmed by Russian tech analyst Murtazin, who received the same picture from “someone who works at Nokia.” He also points out that many people disagree with the company's strategy. Will the previously successful business formula work this time? In our opinion the price would be a decisive factor, but most people perceive non-touchscreen as a thing of the past. What's your opinion on the E6? Let us know in the comments below. i dont understand this biased view against non touch screen smart phones. some people prefer navigating using a d pad rather than needing to move your thumb or finger across the whole front surface of the phone to touch the area you want to control. using a d pad makes one handed use much easier. the best would be a d pad with a touch screen. Pathetic, we already have E5 and C3 for this They should introduce a 3.7" E7 with 5MP camera and qwerty as the E6 and it will be a win!!! I suggest you read about the E7 specs first before posting comments/suggestions that make you look an ignoramus! i like touch screens but they always die to quickly on me, i hope this phone supports T- Mobiles 3G bands! i love the color of the phone and the 8 megapixel camera is a +. Full QWETRY phones are still better non thouch screen, because that will make them huge. Or the buttons are really small, or a slider - which is way thiker. A compact messaging phone with a good camera can work. But pricing whould be adecuate. P.S - Nokia I played with Symbian 3: Add more homescreens+overview mode, and for goodness sake: Add a portrait QWETRY keyboard! My old Omnia had one! 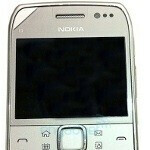 After that Symbian 3 will start to handle much better. Goodluck. I agree with Libertasian, judging by the fact that it has no soft-keys, it'll probably be a touchscreen. If all the specs are true and if its a touch screen and if Nokia continues the premium build quality of business phones, this is sure to be a huge success! If a good processor is put in this bad boy, and it has a big battery like the e71, and the screen resolution is better and it supports a bunch of 3g bands like the n8, then this is a definite buy for me. Nothing's better than these bad boys, unless you enjoy watching videos on your phone.